C cancer is a systemic disease with various causes. One extremely important way to prevent and/or treat cancer is nutritionally. That’s exactly what’s happening today. These four food toxins – refined cereal grains, industrial seed oils, sugar and processed soy – comprise the bulk of the modern diet. Bread, pastries, muffins, crackers, cookies(biscuits), soda, fruit juice, fast food and other convenience foods are all loaded with these toxins. And when the majority of what most people eat on a daily basis is toxic, it’s not hard to understand why our health is failing. Animal Products with Hormones and Antibiotics: Don’t be fooled by “natural” or “free-range” labels: buy pasture-fed, locally raised animal products that are hormone and antibiotic-free, however avoid meats such as Pork and for fish source those which are wild as opposed to farmed. Artificial Sweeteners: Artificial sweeteners such as aspartame, saccharine and sucralose generate damaging free radicals in the body. High fructose corn syrup, although manufacturers refer to it as a “natural” sweetener, is so highly processed that it can be said to be artificial and contributes to yeast growth in the body among other negative health effects. One of these toxic compounds is the protein gluten, which is present in wheat and many of the other most commonly eaten cereal grains. In short, gluten damages the intestine and makes it leaky. And researchers now believe that a leaky gut is one of the major predisposing factors for conditions like obesity, diabetes, celiac and autoimmune diseases. Alternatives to gluten are Amaranth, Buckwheat, Coconut Flour, Cornmeal, Flax, Millet, Quinoa, Sorghum, Spelt and Kanut. Watch the ‘Wheatlessness‘ documentary. Food Additives: Nitrates, sulfites, food dyes and coloring and MSG have all been linked to free radical damage in the body. Avoid consuming products that contain unknown and unpronounceable ingredients. GMO Foods: Genetically modified organisms have now been proven to cause cancer in a 2012 study by French Professor Gilles-Eric Séralini. A court has ruled that Professor Séralini was correct when he concluded that Monsanto’s NK603 corn and Roundup weedkiller, when fed to rats, caused serious health problems when they developed liver and kidney disease and mammary tumours. Household Cleaners: Indoor environments are often concentrated sources of pollution. Lower your toxin load by switching to natural cleaners or making your own. Industrial seed oils: unnatural and unfit for human consumption: Industrial seed oils (corn, cottonseed, soybean, safflower, sunflower, etc.) have not been a part of the human diet up until relatively recently, when misguided groups like the AHA and the ADA started promoting them as “heart-healthy” alternatives to saturated fat. Throughout 4-5 million years of hominid evolution, diets were abundant in seafood and other sources of omega-3 long chain fatty acids (EPA & DHA), but relatively low in omega-6 seed oils. Pharmaceutical Drugs/Medicines: All medications pass through and burden the liver and are known to damage the lining of the intestine causing leaky gut. Acetaminophen is rapidly overtaking alcohol as the number one cause of liver disease. Work with your physician to lessen the amount of medications you are taking and look for herbal alternatives. Pasteurised Products: It’s not just milk. Yogurts, fruit juices, and many of the foods in our grocery stores have been treated with a high heat process that destroys nutrients and generates free radicals in the body. Pasteurisation is used as a substitute for proper sanitation and to unnaturally prolong the shelf life of foods. Buy local Raw Milk from grass-fed cows and make your own yogurt. Pesticides and Herbicides: Industrial farming practices have loaded our produce, air, water, soil and animals at the bottom of the food chain with noxious chemicals. Buy organic and locally to reduce your intake of these poisons. Plastics: Compounds in plastic containers, the lining of metal cans and paperboard containers and plastic wrap all leach compounds that disrupt the neuroendocrine system and estrogen dominance, another possible cause of cancer. Processed and Refined Foods: Our bodies make best use of food in its natural state. The more processes and alterations that a food goes through, the more unnatural and harmful it becomes. Refined sugar and flour, boxed pastas and frozen dinners, powdered cheese and heat-treated oils—these are at the heart of a whole host of diseases and disorders. Subsidised agricultural products: Wheat, soy and corn products are highly subsidised by the US government and highly processed and refined. Food allergies to these substances are subsequently on the rise and can contribute to leaky gut syndrome and improper nutrient absorption. These foods are often loaded with pesticides, herbicides and heavy metals. More and more, the seeds from which they are grown are genetically engineered. It is best to avoid grains and processed soy products. Water: Our water contains hundreds of unregulated substances from pesticides and heavy metals to hormones and other pollutants, some come from pesticides which run off fields and into our rivers. Bottled water is even less regulated. At least Buy a quality Jug filter to remove chlorine, fluoride and other pollutants from the water you drink and cook with. Even better would be a counter-top water distiller which removes everything. Even if you eat healthy foods regularly, environmental toxins bombard you at all turns. The organs of detoxification and elimination–the skin, respiratory system, kidney, liver and digestive tract–often get overburdened and re-circulate toxins in the bloodstream. Practicing a cleanse or detox every few months can help these organs “catch up” and dispose of toxins stored in cells and tissue. Colon Cleanse and liver cleanses can be accomplished with a variety of herbs, green drinks and easily digested whole foods such as juiced vegetables or those that are lightly steamed. Many cancer diets advise the use of supplements and these can be useful especially should you be suffering from a cancer overgrowth. Although supplements can be very helpful, in general, the best source of nutrients and antioxidants is through whole foods. When ingredients are isolated from their natural complexes, we lose many mysterious benefits and concentrate ingredients in unnatural ways. Two popular cancer diets are those of Dr. Robert Young and Dr. Johanna Budwig. Dr. Young’s research concerns our pH: the acid/alkaline balance in our bodies. Our Western diet and lifestyle, along with the many pollutants and toxins that we encounter every day disturb our pH levels, contributing to acidosis and the development of disease. Dr. Young recommends drinking alkaline water which you can create by adding lemon or lime juice and/or a few drops of hydrogen peroxide. Young also promotes a diet consisting of 80% raw foods, especially green vegetables. Although fiber is an important part of digestion, elimination, detoxification and a source of probiotic support—too much fiber can stress a weakened or hyper-reactive immune system. Juicing, steaming and lightly cooking raw foods, using green powders and cutting back on or eliminating grains can ease digestion and make many nutrients more readily available. Johanna Budwig created her anticancer diet in 1951. A German biochemist, Budwig found that cancer patients were deficient in phosphatides and lipoproteins. She discovered that replenishing these compounds reduced tumor growth, anemia and many other symptoms of the disease. The Budwig diet promotes the use of linoleic acid. The combination of cottage cheese and unrefined, cold-pressed oils such as flax seed oil, linseed, sunflower and walnut oils interact to release each other’s beneficial compounds. Budwig’s diet also promotes the use of carbohydrates containing natural sugars such as dates, figs, apples, pears and grapes. The carotenoids in orange and red fruits and vegetables contain valuable antioxidants and support immune function. Johanna recommends the use of freshly-squeezed juices, teas and steamed whole grains. During this treatment, the doctor prohibits the use of other animal fats, meats, butter and margarine. This Healing Diet makes use of concepts from each of these doctors’ diets. If you are recovering from cancer or any other disease be sure to print off a copy to hang on your refrigerator and/or take to the store with you. Your best bet, to combat cancer and a host of other conditions, is to eat real food and eat low on the food chain. Omega DHA (Omega-3 fatty acid): Omega-3 fatty acids are getting so much attention because the Western diet is so unbalanced with an overabundance of omega-6’s. Omega-3’s have a host of health benefits and research is still underway to validate their benefits in combating cancer. Beta-carotene: The orange-red plant compounds found in fruits and vegetables are the precursors to Vitamin A, a potent antioxidant that is proving helpful to those with breast and ovarian cancer. Beta Glucans: Beta 1, 3-D Glucan is an intensely purified, biologically active complex of beta glucans. Beta 1, 3-D Glucan is readily taken up and converted in the body into a form which is specific to a site on all immune cells that have a CR3 receptor, e.g. macrophages, neutrophils, eosinophils, monocytes, and NK cells. These immune cells make up a large part of the immune system’s main defense mechanism. Calcium: Calcium, particularly in natural Vitamin D3 form, reduces the incidence of cancer by 60%. Sunlight and marine oils such as krill oil are great sources. Chorella, Blue-green algae and Spirullina: These single-celled animals are a source of Vitamin B12 and bind with heavy metals, eliminating them from the body. CLA: Conjugated linoleic acid boosts the immune system and reduces colon and rectal cancers, this is abundant in Raw Milk products such as Yogurt and in Ghee (clarified butter). Coriolus Mushrooms: These mushrooms have specific polysaccharides that boost the immune system, reduce tumor growth and combat cancer. Folic Acid: Folic acid is crucial to DNA production and has been found to be effective against breast, colorectal and pancreatic cancers. Fasting: Fasting at least once a week on a liquid intake of water and green juices or carrot and ginger, this allows the body to rest and to heal. Green Tea: The polyphenols in green tea are powerful antioxidants that have been found to destroy leukemic cells in lab cultures. They seem to recognise and halt the proliferation of abnormal cells. 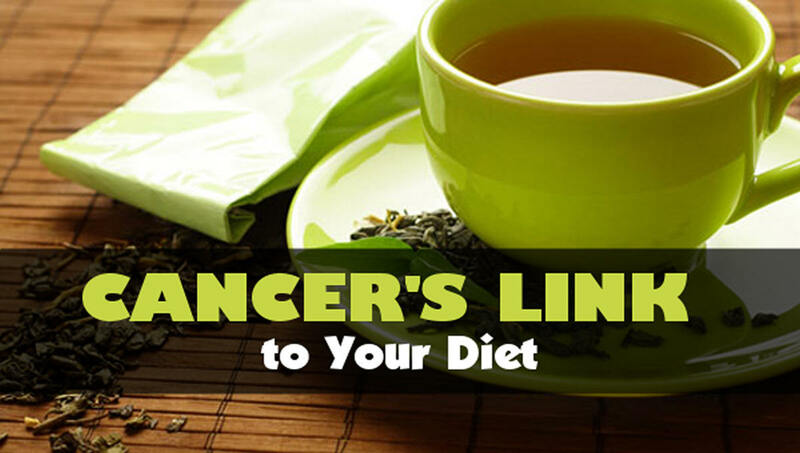 It is best to avoid Green tea if you have an auto-immune condition. Magnesium: Magnesium is one of the most crucial nutrients in our diet, and many people are deficient. It protects against nearly every modern disease, and can be therapeutic for difficult to treat inflammatory conditions such as fibromyalgia, irritable bowel syndrome, arthritis, etc. Seaweed and various nuts and seeds are high in magnesium, but occasionally supplementation may be useful. We suggest using a highly-absorbable form such as magnesium malinate which is especially useful with pain, inflammation and energy. Oolong Tea: Oolong contains theophyllines and theobromines (also in green tea) that reduce the risk of many cancers. Pyridoxine (Vitamin B6): This vitamin has been found to reduce the incidence of lung cancer and boost immune system function. Vitamin A: Vitamin A is necessary for many bodily functions, especially the immune system. It has proven to be effective in battling breast cancer and head and neck tumors. Vitamin A may prove useful in battling cervical, colorectal, esophageal, ovarian, pancreatic and stomach cancers. Vitamin C (Ascorbic Acid): Vitamin C is a powerful antioxidant the aids the immune system. It has proven effective (in whole food form—not supplements) against bladder, breast and mouth cancers. Vitamin K2: has recently been revealed as an important nutrient in protecting against heart disease. It does this by telling the body to put calcium in the bones and teeth where it belongs, and not in the arteries and soft tissue. Vitamin K2 is found in the fat of grass-fed animals and certain fermented foods like natto and hard cheese. I recognize that not everyone eats these foods for various reasons, so if someone has heart disease or is at risk for it I may recommend either Cod Liver / Butter Oil, and/or an MK-4 supplement. For more on vitamin K, see Vitamin K2: The Missing Nutrient.